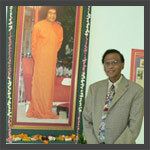 On September 3, 2011 the Sai family lost Dr. Victor 'Krishna' Kanu, a devotee par excellence. Radio Sai paid its earnest tribute to this exalted devotee through a comprehensive cover story: Baba's Fantastic Flute published on October 8, 2011. In this article we shared with you the life sketch of this exemplary messenger of the Lord who strove to share His love with indomitable determination. 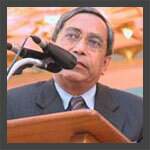 Many devotees have expressed deep pain in his passing and have penned their poignant thoughts. It is only appropriate that we share these heartfelt feelings as these are reflections which inspire us to lead a life of dedication and devotion which Victor exemplied. We start with the tribute by Father Charles Ogada from Nigeria. At the end of this article you will find links to more such eulogies from senior members of the Sri Sathya Sai Organisation who have worked closely with Dr. Kanu for several years. Today a Saint is born! To whom can we compare His story? He called Victor, the Lion! Where Hanuman is, There Rama is. Where Victor is, there Sathya Sai is! In the year 2001, I travelled to Puttaparthi to see Swami. This was my very first visit to Prasanthi Nilayam and Swami called me for an interview. Throughout the interview, Swami showered endless Love and Joy, which warmed our hearts, and as it drew to an end, I began to feel an overwhelming urge, like a bubble rising within my heart. I wanted to invite Swami to Africa! My mind was telling me, “this is impossible. Don’t be crazy!” But the words of Jesus gave me courage. “If you ask the Father anything in my Name, he will give it to you.” Up until that point, I did not know that Swami had visited Africa previously. As we proceeded to leave the interview room, the urge became stronger and I could not hold it any longer. This time I was standing alone with Swami just at the entrance of the interview room. Then, with folded hands I poured out the yearning in my heart. “Swami”, I prayed, “Please, come to Africa”. Swami’s face glittered with a smile as he said to me, “I am already in Africa”. “Do you know Victor Kanu?” He continued. “No Swami” I replied. 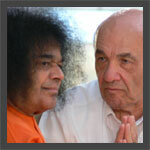 Then, with such melting love, Swami said to me, “I am working through him” pointing to His Heart as He said it. I didn’t realize the full extent of Swami’s words, until I met this devotee who was introduced to me by his Guru even before I set my eyes on him, almost three years after. 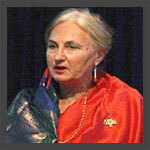 Victor had come to Puttaparthi and when I was informed of his arrival, I was naturally excited and went to greet him. After a brief introduction, I was hit by his thunder of Love as he said to me, “Come to Zambia and help us.” His command was as sure as Truth. But I was very uncertain. At this time I was going through a crisis with the Catholic Church and I did not know what Swami wanted me to do. After hesitating for a while I said to him, “Oh, I have to ask Swami.” How foolish I was! Here was “Swami” talking to me and I was telling “Swami” I will ask “Swami”! I did not yet understand what Swami meant when he said to me, “I am working through him.” It meant, to have seen him, is to have seen me. Of course, it is not in the nature of Victor to give up as he was certain of what he knew. Like a Lion, he came back to me with the call of Self Confidence – to wake me up from my trepidation. “Take one step towards Swami”, he said quoting his Master, “and Swami will take ten towards you!” Immediately, I thought within me, “But in my own case, Swami takes all the steps”. Now as I look back I realize that if this were to be the case, I would have been lame and spiritually deformed. It is not that God cannot take all the steps for us, but he allows us to fall and make mistakes, so that we can rise on the foundation of Self-Confidence. If the mother were to carry the child all the way through the journey, how can the child’s limbs grow strong? The following year, on the festival of Guru Poornima, my papers (work permit) were ready for me to travel to Zambia. And this was the beginning of another learning experience from the one of whom the Lord Himself said, was “His perfect instrument”. Victor came personally to pick me up from the airport. As he hugged me, I felt the love of a Father towards his son and from then on, I called him “Dad”. Eating, working, laughing, praying and playing with him were sacred lessons in the school of life. In fact, I regarded myself as one of his students. 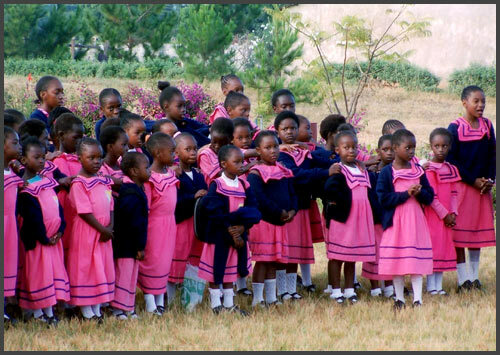 The Sathya Sai School of Zambia is a Temple of Learning, for the teachers as well as the students. In this Divine Temple, Swami “worked through His Victor” to bring about the miracle of His Love. The students were drawn from the rejects of society, economically, emotionally, socially, mentally and morally. Victor admitted the “zeroes” and transformed then into all round “Heroes”! Have you ever experienced total joy that made your heart want to jump off your breast - ripples of bliss rising and raising you beyond the limits of human possibilities! This was the joy we experienced as we watched the pupils unfold the divine within – like fragrant flowers in the garden of Sai! From the void of nothingness, suddenly there was a big bang – an explosion of the Divine within. And you just pinch yourself as you wonder whether this was the same pupil you knew just a year ago. I could remember the first task given to me by Krishna Kanu. Shortly before he left for India for the birthday of the Lord that year (2005), he called me to his office and told me he was giving me an important assignment. That assignment was to help upgrade the academic standards of the grade eight girls (who were to sit for their National grade 9 exams the following year) during the five weeks holidays coaching. These students were asked to continue classes during the holidays. The grade eight girls, Sri Victor explained, were exceptionally weak due to the fact that the majority of them had been picked from the “drop-out” list of the Zambian school system. This was my first encounter in witnessing the transformative power of Swami’s Love! Victor loved the children with the same passion with which he loved the Lord. To the parents and the staff, he was “all things to us all” – father, friend, teacher, motivator, director, organiser. In matters of disputes and discord, he was a bridge of harmony and you could not but smile with pride at his sense of diplomacy! Truly, he was for us the ambassador of God who erased the gap we create between the human and the divine. Victor was a colossus of inspiration. I will never stop wondering how he did this. He was the perfect example of total dedication to one’s duty, come rain and come shine! With his health condition, it would have been completely impossible for anyone to do what he did with extreme dexterity. His body suffered from diabetes and as a result, his eyesight was heavily impaired that he could hardly see anything. For quite a long time, he had suffered from a poor heart condition coupled with high blood pressure. Yet never a time did he talk about his health problems or complain about them. Vibrant, energetic and with a cheerful joy, he carried out his duty as divine. Sometimes, he had had severe heart attacks and had to be rushed to the Super Speciality Hospital. Beloved Swami would take away this condition by telling him, “I will take care”. Since he had surrendered his body to the Lord, it was the duty of the Lord to take care of it. 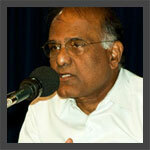 Towards the end of last month, Sri Victor came in my dream. This was the first time as far as I am aware, that he has ever appeared in my dream. He was full of light and his hair and cloths were snow white. I was showing him around our work in Nigeria and he was blessing them. When I woke up from that dream, I knew it was not an ordinary dream. A day after this dream, Sri Victor called me on the phone. It was the most pleasant surprise. Outside the time I was in Zambia, I cannot remember getting a call from him. He would usually send an e-mail. One could therefore imagine my joy hearing his strong kingly voice from the other end! When I narrated the dream to him, he said, “It is Swami blessing!” Then I remembered once again the words of Swami, “I am working through him”! Although my heart danced in joy at these experiences, little did I know that this was his farewell blessings to me. In African culture, before an elder joins his ancestors, he would first call his children and impart his blessings on them one after the other. This manner of death was the one criterion that assures the living that their father had reached ancestor-hood. I met Victor in 1983 shortly after I heard about Sai Baba. My husband and I went to his house and Victor talked about Swami and how we could find Him. Actually our paths had crossed some years before that, when Victor was High Commissioner for Sierra Leona & Ghana to the UK and Scandinavia. The company I worked for owned diamond mines in Sierra Leone, so Victor and I had a lot of mutual business acquaintances before either of us knew Sai Baba. 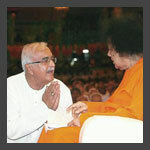 Dr. Kanu is an exemplary devotee who loved and served Swami till his last breath. Dr. Kanu left his body while visiting Sierra Leone to oversee construction of a Sathya Sai Centre. Indeed, it is a Divine blessing to merge with Him while doing His work. Dr. Kanu will be remembered with reverence in the annals of Sai History for over three decades of loving service conducted with dedication, devotion and determination. His deep conviction that human values are key to making a new man and a new society and his extraordinary persuasive skills convinced the United Nations to start in 2001 a Human Values based education programme for resource conservation in Africa. Victor, his wife Genevieve and the trainers of the African Institute of Sathya Sai Education worked tirelessly for nearly a decade to introduce Human values in public school curriculum in fourteen African countries through the UN programme. Ten years on, the programme that Victor started has spread beyond the shores of Africa to Asia and Latin America. Always, since the beginning of time, the Lord has brought forth men and women who were born into certain places at certain times where and when there was a great need for the Light of His Love, the Enlightenment of His Wisdom, and the Succor of His Compassion. Bhagawan Sri Sathya Sai Baba, Our Beloved Swami, brought forth Victor Krishna Kanu to be such a light of His Love and Wisdom in Africa. 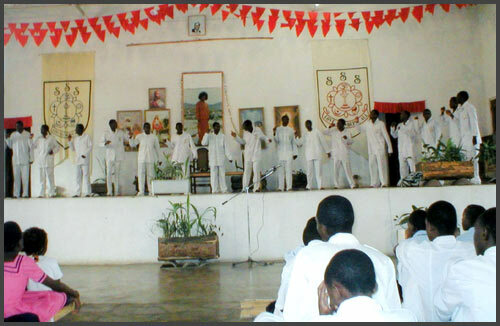 In August 1986 he was one of the Sathya Sai Faculty members conducting the Sathya Sai African Conference on Education in Human Value and Community Services in Accra, Ghana. He gave an excellent account in the African context and was blessed by Swami to conduct such workshop in Nigeria, Kenya, Zambia and many other African countries. I first met this champion of Education in Human Values (EHV) on my first visit to Puttaparthi in July 1983 to attend the first Bal Vikas camp for overseas teachers. His exposition on EHV delivered in a stentorian voice with authority and conviction was as inspiring as Dr. Jumsai’s composed and reassuring style. Both these doyens of EHV left an indelible impression on me, and our first acquaintance blossomed into what I could only describe as a mentoring relationship.